Nature lover's paradise! Custom built Quivira- 4 bdrm single story on .34 acre treed-creek-greenbelt lot. Open spacious floorplan, light neutral decor, many custom features & amenities: beamed, vaulted & trey ceilings, wood burn brick fireplace, kitchen w- large granite island, SS applc, stone wall & wd plank floors, updated baths & master suite w-dual closets, dual granite vanities & skylite! Fresh carpet thru-out. Great views of backyard deck & grnblt, nestled in a canope of trees! ! Bd on Bd privacy fence, side entry ovrszd garage w- sink & built-ins, xtnd drive! Recent roof. Frig stays. 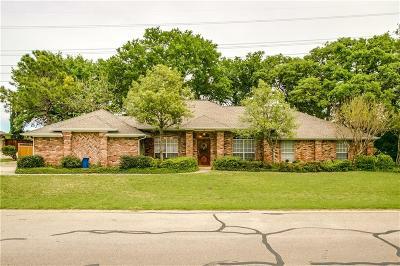 Coveted Highland Shores on Lake Lewisville w- community pools, parks, trails, tennis, award winning schools!